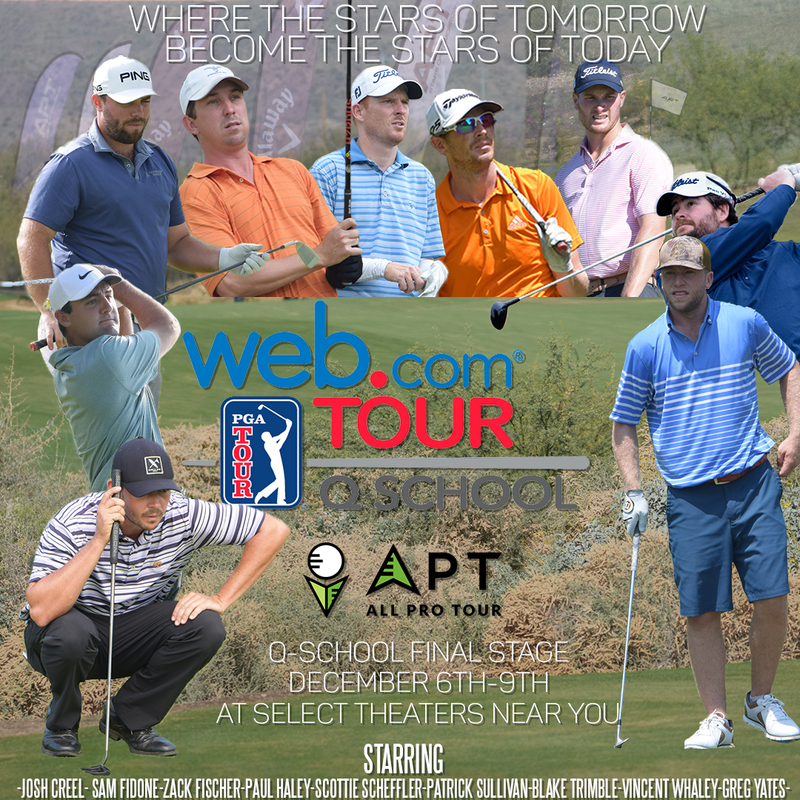 Congratulations to Josh Creel, Paul Haley, Scottie Scheffler, Vincent Whaley, and Greg Yates for moving on to the Web.com tour! Haley and Whaley finished at (-21) and (-19) respectively, while Creel, Scheffler, and Yates all went down to the 72nd hole to maintain their (-18), which held inside the T40 line at T34. We look forward to seeing their success on the Web.Com tour next year! Here’s a 2018 season overview for each of our APT players that attended Web.com Qualifying. APT ’18 Season: APT Player of the year, 3 wins (all in a row), 3 T-10 finishes, 12 appearances. Creel first joined APT in 2014, playing in one event and finishing in a T30th. Steadily improving his game over the years, he won his first event, the Buffalo Run Classic, in July 2016, and his second win in May 2017 at the Cooper Communities Northwest Arkansas Classic. 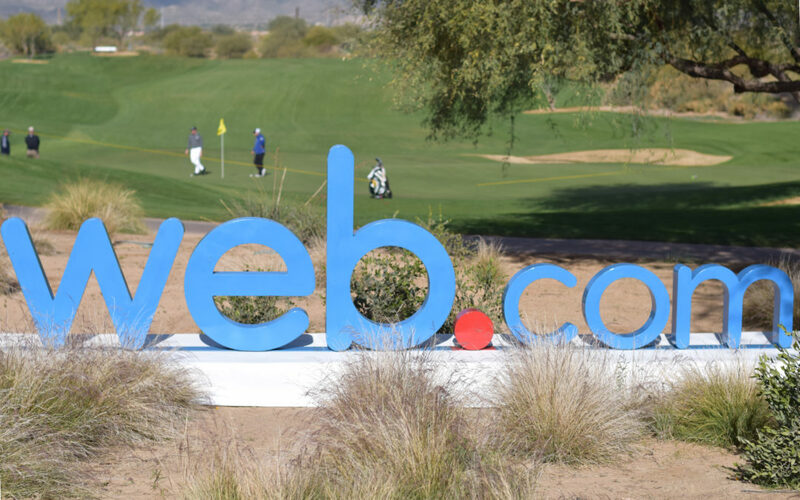 Creel would go on to play 4 Web.com events from July through August of 2017, his best finish a T10 at the Digital Ally Open. The Arkansas native, after a taste of the Web.com, came back with a vengeance on the APT, ripping off three victories in a row. He advances to the final stage of Q school for a second time, his first effort coming up short in 2016. Fidone turned pro at the age of 20 in 2013, quickly moving forward to the PGA ranks in 2015 after qualifying for the PGA TOUR Latinoamérica. Sam’s appearances with All Pro Tour dropped after his quick ascension, winning his first PGA TOUR Latinoamérica event in 2016 at the Honduras Open. He then qualified for the Mackenzie Tour- PGA Tour Canada in 2018, winning at the Bayview Place DCBank Open. The lone lefty of our 9 Q School finalists rounded out his strong 2018 with wins in Houma and his hometown of Lufkin with APT, looking to cap the year off with a full time spot on the Web.com tour. Fischer turned pro in 2011, finishing T-9 in his first event with APT in 2012. Fischer played a full slate in 2013 before qualifying for the Web.com tour in 2014. He remained in full status through the 2017 appearance, where he made a cameo appearance on APT for a win at the Magnolia Bluffs Casino Classic. The Texarkana native held the 54 hold lead at his hometowns tournament, but couldn’t close the door and finished T5. Haley first appeared on All Pro Tour in 2015, making the cut in all 4 events he played in, including a T-3 finish at the San Angelo Open. Those 4 made cuts would be double the number of cuts he’d make in the 2016 and 2017 seasons combined, missing the cut 16 times over those two seasons. Haley pressed on, and turned around his inability to make a cut in 2018. He finished 2nd to Sam Fidone at the Southside Bank Open, pressing the MacKenzie Tour player with a 5 under final round. Scheffler made his mark well before turning pro, winning the US Amateur in 2013, and back to back US Open appearances in 2016 and ‘17. He was the low amateur in 2017, finishing T27. He made his professional debut on the PGA tour at the Fedex St. Jude’s Classic, finishing T47. He made his All Pro Tour debut at the Bogey Hills Invitational, posting T6. He had one Web.com start in 2018 as well. Sullivan joined APT in 2015, posting his best finish in his APT career in his opening season at the Victoria Open in 3rd place. He stayed steady through the 2017 season, when he got through Q-school and secured full time status on the Web.com tour for the ’18 season. He finished 168th on the money list, being sent back to Q school to try and regain status. He rejoined us for the Taco Bell Natchez Classic for a tune up, finishing T25. Trimble played his first APT and Web.com event in 2009, consistently Monday qualifying his way onto Web.com events during his All Pro Tour career. He qualified for PGA Canada in 2012, playing the full season before returning and winning his first APT event in 2013 at the Young Life Abilene Open. He shot a final round 8 under to secure the one stroke victory. Grinding his way through his career, Trimble broke through for full status on the Web.com for the 2017 season. While not staying for the ’18 season, he qualified for the MacKenzie Tour, where he played for the 2018 season. He looks to reclaim full status on Web.com, building off his APT Winter Series victory last week at the Kingwood Forest Classic. Whaley joined APT in 2017 for one event, finishing in T2 at our team event at Firekeeper. After his first taste of All Pro Tour, he joined us for a full season in 2018. While Whaley didn’t bring home a trophy, he made every cut this year, including two second place finishes at the Muscogee Creek Nations Casino Real Okie Championship and the Fore the Kids Fall Shootout. The Atlanta native looks to bring his consistency for 4 more rounds to secure Web.com status. Yates began his APT career as a Web.Com tour member in 2015, playing a full schedule but not requalifying for the ’16 season. He found a smattering of experience in 2016, playing in six APT events, seven PGA Canada tournaments, one Web.Com event, and the Valspar Championship on the PGA Tour, where he finished T22. He requalified for the Web.Com tour, playing a full season of 18 events in 2017 along with 3 APT events. After losing status, Yates stormed back with vengeance at the opening APT event of 2018. He secured the victory by posting 5 birdies to open his final round at the Coke Dr. Pepper Open, finishing at 10 under for the round. The Aggie looks to make a third time the charm on the Web.com Tour.